New York, May 22, 2013 — Hughes Hubbard today announced that its Corporate Reorganization Group has launched a blog focused on cutting-edge issues on bankruptcy law. The Hughes Hubbard Bankruptcy Report is spearheaded by partners Christopher K. Kiplok and Sarah L. Cave. The Hughes Hubbard Bankruptcy Report will offer readers insights on emerging issues in bankruptcy law from the team of lawyers that has handled the largest and eighth largest bankruptcies in history, Lehman Brothers Inc. and MF Global Inc., respectively. In addition to reporting on timely legal developments of interest to bankruptcy and corporate reorganization lawyers, Hughes Hubbard Bankruptcy Report will also feature analysis on a wide-range of topics covering everything from ISDA issues to gerrymandering in claims trading and tips from the podium. “We’re excited to launch the Hughes Hubbard Bankruptcy Report as a platform for thoughtful exploration of issues that are critical to bankruptcy and corporate reorganization lawyers,” said Co-Editor-In-Chief and Corporate Reorganization Group partner Christopher K. Kiplok. “Our blog will feature posts by some of the most talented bankruptcy lawyers practicing today on topics that our clients and others in the field will find valuable, enlightening and sometimes entertaining,” added Co-Editor-In-Chief and Corporate Reorganization Group partner Sarah Cave. The Hughes Hubbard Bankruptcy Report will showcase articles by Hughes Hubbard partners and associates involved in the leading-edge issues of bankruptcy law in jurisdictions all over the world. Hughes Hubbard's Corporate Reorganization Group represents financial institutions and companies in Chapter 11 proceedings; out-of-court restructurings; insolvency matters; and related financial litigation. 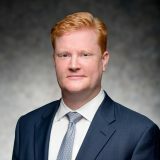 The group's restructuring experience includes cross-border insolvency matters; asset sales; secured and unsecured creditors' rights; and the unique issues that arise in private equity-related transactions. The breadth of the practice is reflected in the significant matters on which the group has advised on in recent years, which range from the liquidation of Lehman Brothers Inc. and MF Global Inc.— the largest and eighth largest bankruptcies, respectively, in U.S. history—to multi- billion dollar asset sales under section 363 of the Bankruptcy Code, to representing Chapter 11 debtors in the publishing and oil and gas industries.